HMS Surveys is completely independent from brokers, agencies, dealers and boatyards, while maintaining membership in industry leading professional organisations for continuous professional development. ﻿I hold a Master's Degree in Marine Engineering and have graduated from a Naval Academy with majors in Navigation, Naval Architecture and Marine Engineering. 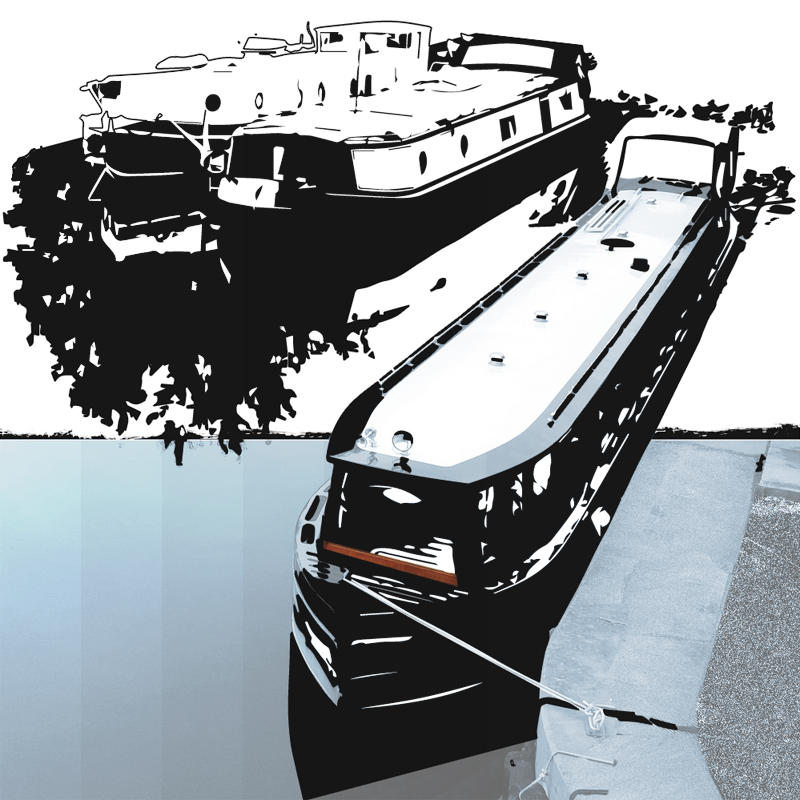 With over 25 years experience in the marine profession, I also hold a Diploma from the Practical Yacht and Small Craft Surveying Course at the International Boatbuilding and Training College (IBTC), Lowestoft. My extensive practical experience with boats dates back to my childhood on the Black Sea coast, racing keel yachts and working in a boatyard. 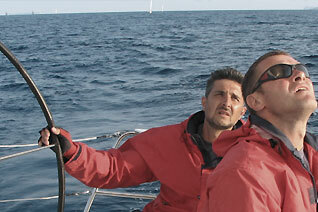 I am a completely independent marine surveyor, working for my client's interests only. They are encouraged to stay in touch and I am usually happy to offer free ongoing advice. Customers and colleagues find me approachable, responsive and enthusiastic. 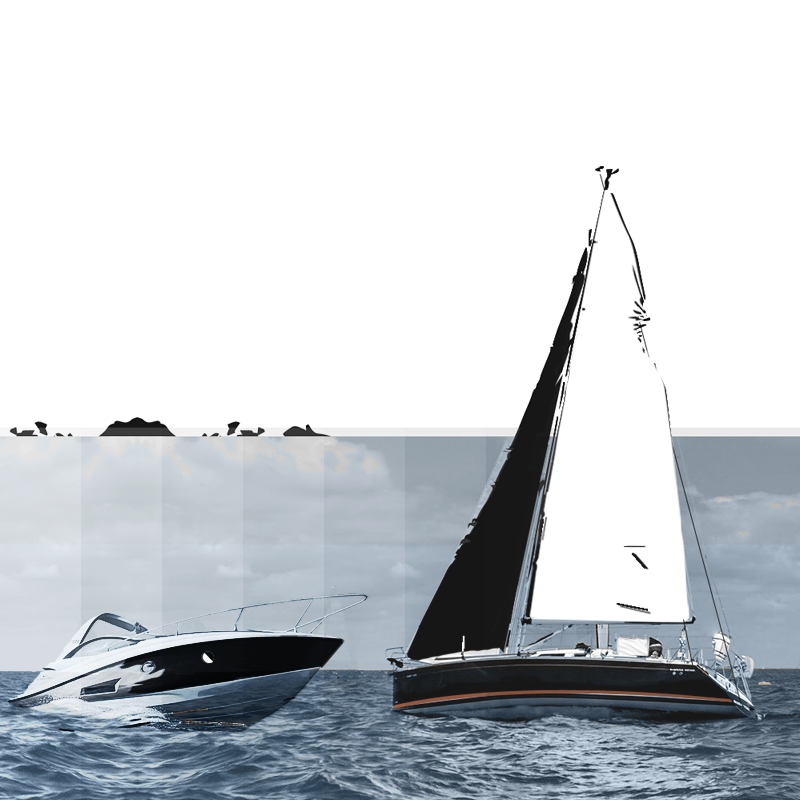 Having owned numerous sail and motor craft, I have a pragmatic view on what constraints the boat owner may be faced with. 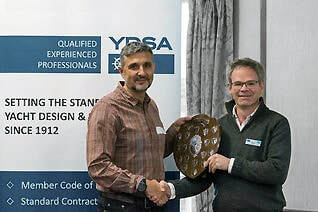 Vladimir Chorbadzhiev (on the left side of the picture) has been awarded The YDSA Leslie Oliver Award for most improved surveyor. Vladimir carried out a pre purchase survey for us. He was extremely thorough and knowledgable and despite the heat on the day, he spent hours going through the boat meticulously and as we were present, spent time to explain his findings to us. The report was provided in a timely manner and was easy to follow. We would thoroughly recommend Vladimir. Vladimir is an excellent surveyor. 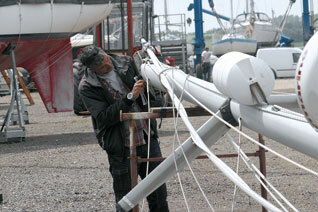 He was very thorough and as new boaters he really went the extra mile in helping us navigate the process. He explained things very clearly and I couldn't recommend him enough. Vladimir was brilliantly thorough, and gave me some brilliant advice during the pre purchase survey. Turnaround was very quick on the report, and would definitely recommend! I would have been able to rule them out myself without advice. However, I am extremely glad I used HMS Surveys services for these viewings, for two reasons. 1. I learned so much about what to look for, and what I'm looking at, from Vladimir. I'm still no expert, but it definitely helped me on my long search for a good first boat - which I think I nailed, partly thanks to having a much better idea of what to look for, and what to ignore! 2. It's clear that Vladimir is very professional, and really knows his onions, as a quick bit of googling him will reveal, from his qualifications and awards, and a nice bloke as well - so a really useful contact to have for me as a boat owner, and to recommend to others. I contacted him to undertake a pre-purchase survey on my behalf, but we both had tricky diaries and could not find a date that worked for us, but I would not hesitate to use him.